First, Birmingham and John T. Lewis. I’ve been hard at work as time allows over the past few months reconstructing the early history of the Birmingham churches, prior to the arrival of John T. Lewis in the fall of 1907. Recent excursions in the journals (Gospel Advocate and Firm Foundation) have brought me much closer to the origins of the Fox Hall church and the (still mysterious) North Birmingham church. I have also uncovered considerably more context for the Pratt City meeting that Lewis and J. M. Barnes held late in the summer of 1907, all of which has pointed to a stronger conservative presence in Birmingham than previously thought. I’ve also had some good conversations recently that have turned up more information about JTL’s work in Canada while he was a student at the Nashville Bible School. Slowly but surely, things are coming together. It is my hope to be able to publish a narrative of these years (1885–1907) by the end of the year. Second, an announcement. As we’ve done for the past two years, I will again be joining John Mark Hicks, Mac Ice, and Jeremy Sweets for a series of talks about the history of the Nashville churches at this year’s Summer Celebration on the campus of Lipscomb University, July 1–3. I will be discussing the division that took place in the Woodland Street Christian Church, located in East Nashville, in the fall of 1890, resulting in the establishment of the Tenth Street Church of Christ. Woodland Street, some of you will recall, became embroiled in the larger dispute over the missionary society in the 1880s and the division occurred over that issue. I’ll be back here with more specific information about the date and time of those talks. Nashville is a splendid city of 100,000 people, and is the most distinctly southern city I ever saw; much more so than Dallas. It is strange but true that I traveled 400 miles north and found myself in the midst of a typical southern people; incomparably more so than those I left. That it is full of thrift and enterprise is evidenced by the Centennial Exposition, the best state show ever seen in this country. So good is it that in the estimation of competent judges it compares favorably in many respects with the Columbian Exposition at Chicago. The grounds are spacious and beautiful, the buildings are massive and artistic, and the exhibits are one perpetual and pleasing surprise, and I feel it my duty to urge every one to visit it. We have about 3,500 people here, with fourteen organizations and twelve places of worship. I had the honor and pleasure of preaching at the Vine St. church, the oldest and largest of them all. They have a $40,000 house in the very heart of the city, and 600 members. R. Lin Cave has been pastor for more than sixteen years, and I never knew a man more universally loved. His recent resignation and call to the presidency of Kentucky University have cast a gloom over the whole church and city, for he is popular with everybody. He has a son, R. Lord Cave, who bids fair to become as great a preacher as his father. And why not? If there is anything in heredity, and we all believe there is, then the grandson of the peerless Dr. Hopson, and the son of R. Lin Cave, two of our strongest men, ought to be a man of power. The Woodland St. Church on the east side of the river, under the pastoral care of T. A. Reynolds, has a good house, with 300 members, and is doing a great work. This church boasts the proud honor of being the mother of the state mission work. A. I. Myhr, the leader of the missionary hosts, has his membership here. C. A. Moore, late of Missouri, is pastor of the South Nashville Church, with David Lipscomb as one of his elders. The other churches have preaching, but no regular pastors. The Gospel Messenger, late of Mississippi, is now in this city. M. F. Harmon, filled with energy and aglow with hope, a young man of much promise, is its founder, proprietor, and editor. For some time, however, O. P. Spiegel has shared with him his editorial honors and labors, and just recently J. M. Watson has been added to the editorial staff. Bro. Watson will have charge of the office, thus giving Harmon time for outside work when necessary and Spiegel will continue to push its claims in Mississippi. This is the place for the Messenger, and I will be surprised if these three young men do not make it a success. They have wisely inaugurated a publishing house in connection with the paper. Here also is the Gospel Advocate, edited by David Lipscomb, E. G. Sewell, and F. D. Srygley. This is one of our oldest papers, and is regarded as the representative of the anti-organ and anti-society sentiment. It has a publishing house, and supplies its constituency with much of their literature. So here we have a progressive’s view of events on the ground in Nashville at the turn of the century. Harmon’s Gospel Messenger ran strong for a few years in the mid 1890s, but never approached the circulation of the Advocate. It would close up shop in Nashville about a year after Davis wrote these words. 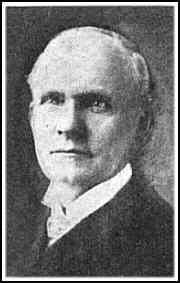 O. P. Spiegel briefly tried to revive it in Birmingham as a periodical voice for the Alabama Christian Missionary Cooperation, but he too had abandoned it by the end of 1902. In 1897, division between progressives and conservatives was becoming clearer. Even so, Davis can still say that “we have about 3,500 people here, with fourteen organizations and twelve places of worship” and refer to the Gospel Advocate as “one of our oldest papers.” Wishful thinking? Perhaps. 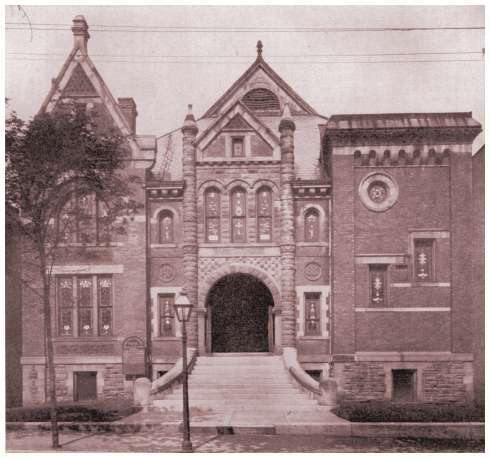 assessment of R. Lin Cave and the Vine Street church. Twelve of those fourteen churches to which Davis alludes were conservative in sympathy. That said, none of them could claim the social standing, the respect, or the wealth that Vine Street and Woodland Street held. This comes through in some of David Lipscomb’s most scathing comments about Vine Street: “The Vine Street church, in Nashville, is a strong church numerically, pecuniarily, socially. It is surpassed by no such church in Nashville of any denomination in social and intellectual and pecuniary ability. It is the weakest church claiming to be Christian in the city. I have known its work for fifty years past. During that time it has not planted a church or sent out a preacher” (Gospel Advocate 1907, pg. 681, emphasis added). It would be difficult to miss the point: Vine Street’s pride in its social standing—and its apparent lack of interest in evangelization—tarnished its faithfulness. Still, though, I wonder what Lord was getting at in his comments about Nashville? Is social standing all he sees? Did he expect Vine Street and Woodland Street to start planting churches in numbers that would stem the conservative tide? Did he expect the conservatives to shoot themselves in the foot with their own dogmatism or their own “inadequate theory of church expansion”? We will never know. I’ll be back to the Birmingham materials soon. My trek through the Firm Foundation has yielded some interesting results that I intend to share here. A momentary break from historical posts for a bit of news. 1. In July, at the annual Lipscomb lectures, I will join John Mark Hicks, Jeremy Sweets, and Mac Ice for a second round of presentations and discussion about the history of the churches of Christ in Nashville. Last year’s presentations were well received (you can find mine here) and we look forward to a good session again this time around. I’ll be discussing the local and theological contexts of the 1938 Hardeman Tabernacle Meeting. Hope to see you there if you’re in town. 2. None of this means, of course, that I have abandoned John T. Lewis and Birmingham. Work continues there on several fronts. I’m currently digging more deeply into the origins of both First Christian Church and the Fox Hall congregation. Additionally, a big thanks is in order to Phillip Owens, of the Shannon church in Birmingham, for the opportunity to work with a large quantity of JTL’s personal papers and photographs in his possession. 3. Lastly, I want to mention what a privilege it has been over the past few weeks to help in the effort to preserve the congregational records of the Riverside Drive Church of Christ. As some of you know, Riverside Drive closed its doors at the end of March after 77 years of ministry in East Nashville. The congregation’s records are extensive: there is a lot of detailed information going back to the very beginning (February 1937), and a full run of bulletins starting in the early ’50s. I hope to share some of this material with you in the coming weeks as there is lots of interesting material vis-a-vis the larger history of the Nashville churches. UPDATE: I’ve posted some photos of the interior of the building over on my Tumblr.